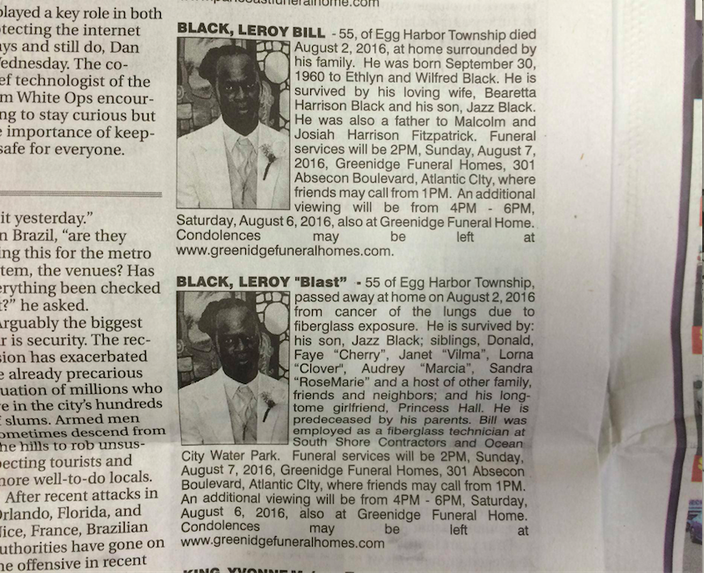 A funeral for Leroy 'Blast' Bill Black, 55, of Egg Harbor Township, N.J., will be held Sunday in Atlantic City. 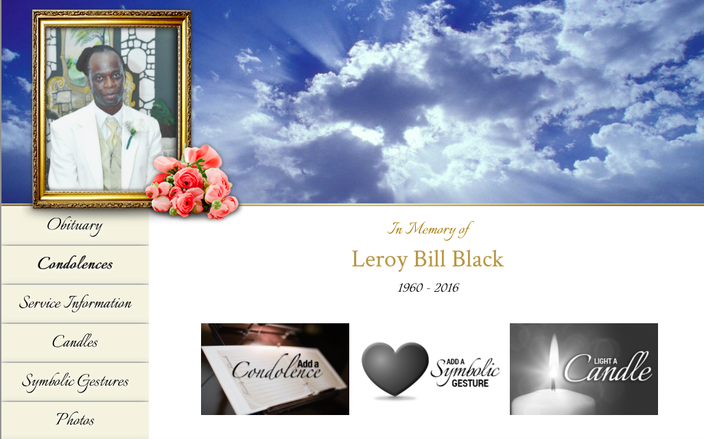 I did not know Leroy “Blast” Bill Black in life, but 55 years old is too young for anyone to die, so I mourn and offer condolences for his family and loved ones. That information was available in not one, but two obituaries that ran in today’s Press of Atlantic City that a longtime friend who identifies herself as an “avid obit reader and reformed reporter” posted on Facebook on Friday morning. She didn’t know Mr. Black, either, but she noticed some noteworthy differences in the obituaries. It’s not just that one offered more details about the cause of death, but the names of survivors listed in copy that appeared in consecutive order on page D6 of the Shore-based newspaper. In the first obit, his “loving wife, Bearetta Harrison Black” gets top survivor billing. In the second, however, Bearetta is nowhere to be found, but “his long-tome (sic) girlfriend, Princess Hall” appears in her place. 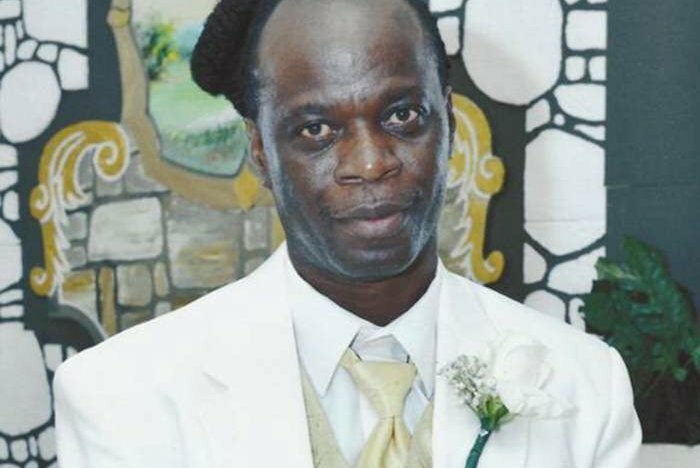 A man answering the phone at Greenidge Funeral Homes told PhillyVoice that the obituaries were placed separately because "the wife wanted it one way, and the girlfriend wanted it another way." But he did not anticipate any problems because everybody knew it was happening. This isn’t to make light of Blast’s death, but here’s hoping the dueling obits don’t cause any friction at the funeral. It's nice to know that in what must have been a difficult struggle for Mr. Black, he was surrounded by so many loving people that one obituary wasn't enough. RIP, Blast.